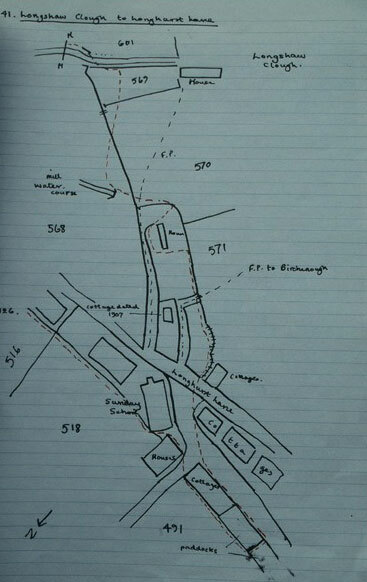 The following information was put together as an original piece of research back in the 1970s by Warwick Burton, who was at that time a young student of Archaeology, influenced and encouraged by Maurice Beresford, John Hurst, Christopher Taylor and David Diamond who were Landscape Archaeologists and Local Historians of the area. 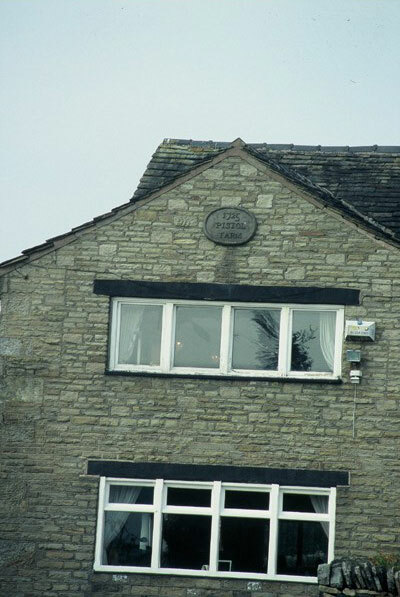 Many years later he kindly presented it to a meeting of the Trust. 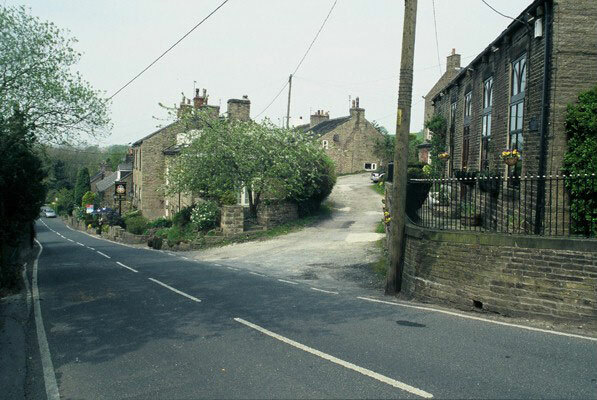 As a member of the Antiquarian Society, he came to the conclusion that Mellor had been an Ancient Settlement. 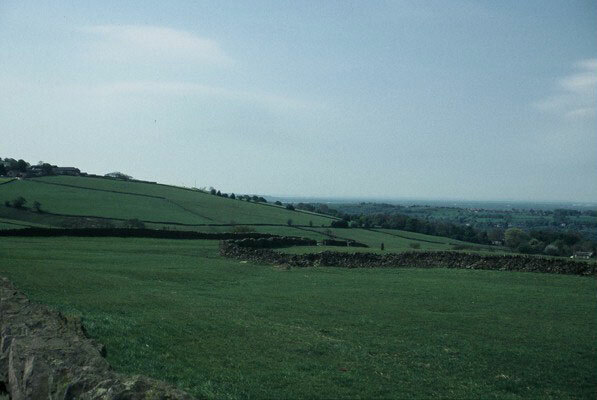 He felt that the unusual oval shaped Churchyard seemed to have its shape constrained by features that were not visible in the modern landscape and furthermore that it was remote from the main part of the settlement, leading him to believe that the Church had been positioned on a christianised pagan site and that this influenced the later development of the Parish. 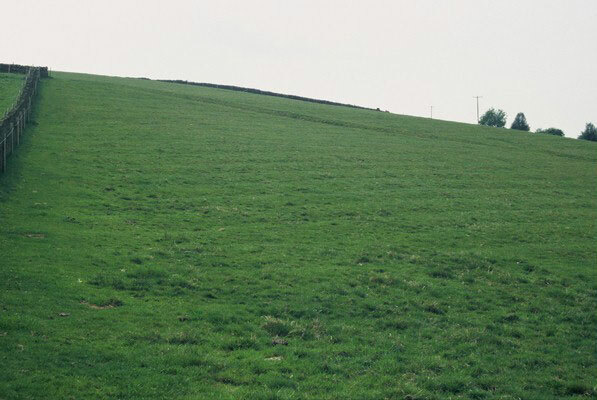 A theory dismissed at the time as fanciful. 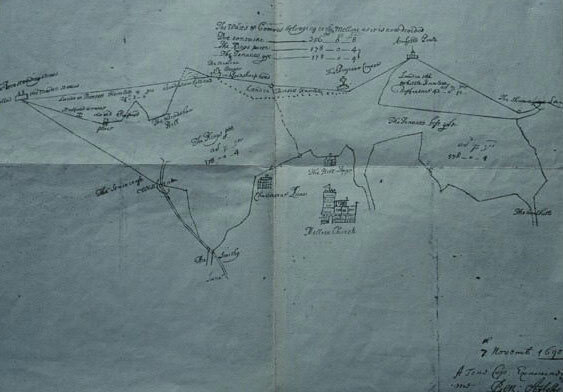 Warwick was interested to see if the historic documents tied in with any of the physical features which can be seen in the modern landscape, particularly with regard to the enclosures. 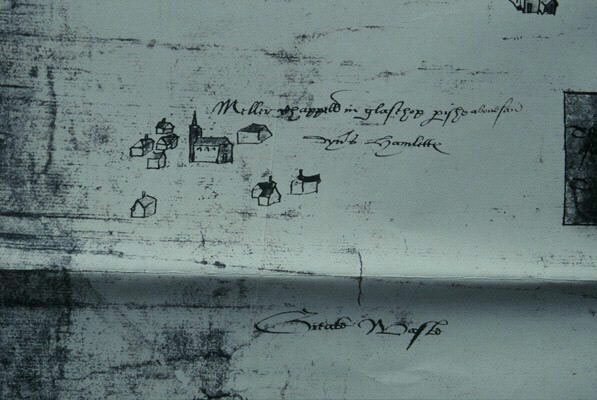 Unfortunately, however, although the earliest map of 1585 showed several recognisable features and names to work with, many others were too imprecise. 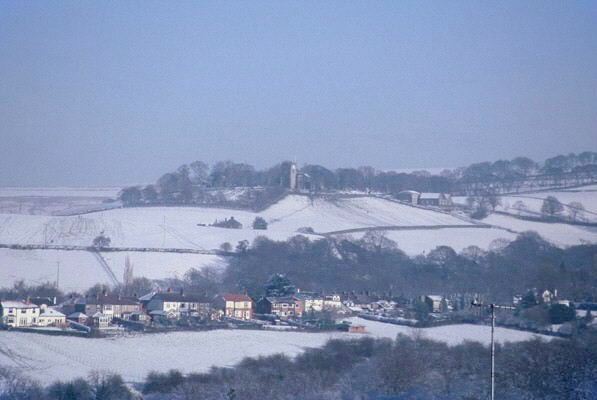 The Mellor Church being an example of this, drawn as it was with a spire. 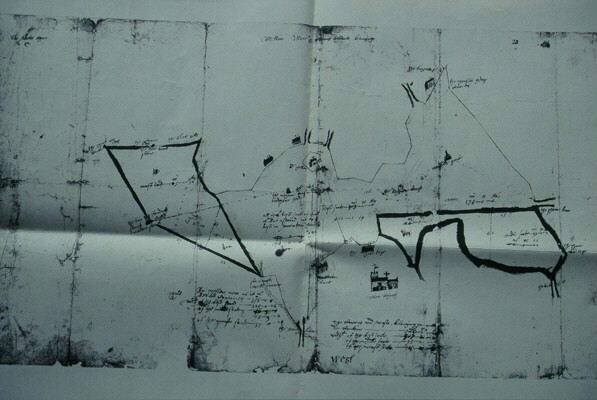 When Charles the First decided to enclose and sell off parts of the Commons he comissioned two surveyors, Hibbert and Barton, to survey the land and draw up plans for the Acts of Enclosure. 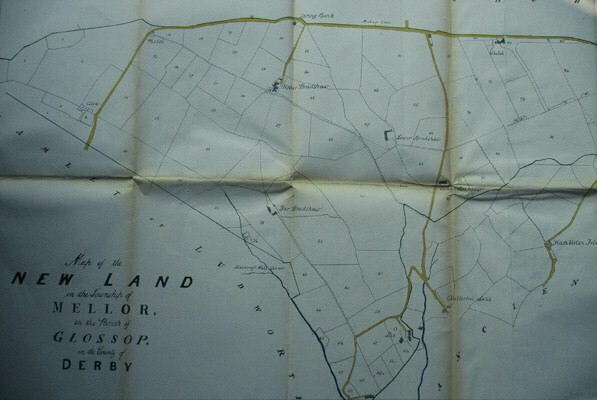 The land was to be divided into the best/ worst/ middling sorts and allocated to the king and tenants, the king could then sell his part off to raise money. 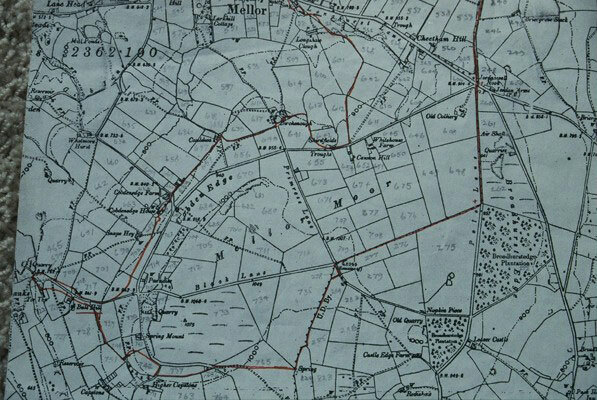 However, civil war came too soon and this was never carried out until after the restoration of the Monarchy. 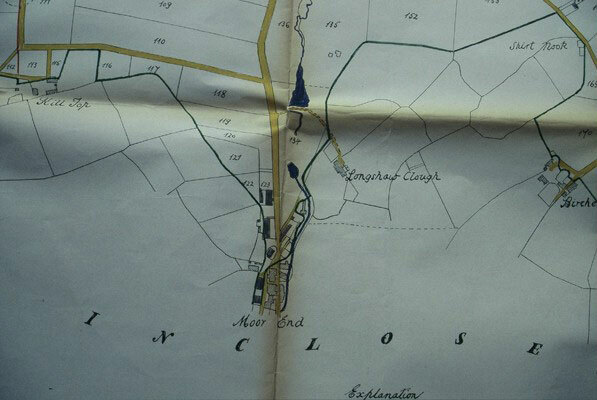 By the Ayhoffe map of 1690 this system had been abandoned and the Kings part consisted of everything north of Shaw Lane. 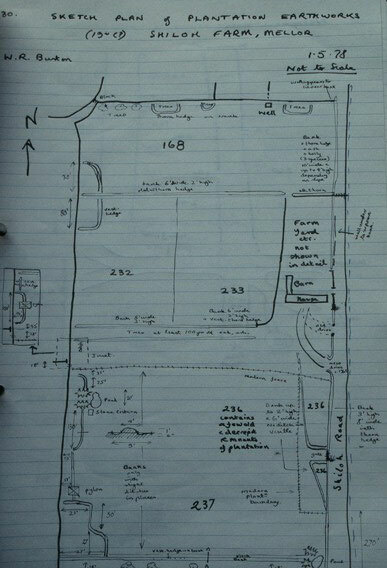 Warwick transferred this onto a copy of OS map and began to study the features. 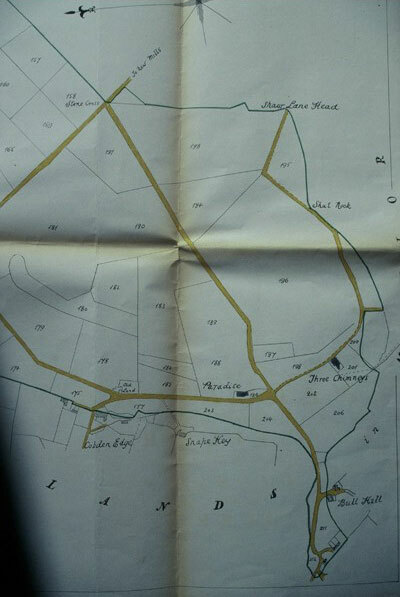 A stroke of good fortune was the discovery of a map owned by the Jowett family in 1844, commissioned, as many maps were, to evade taxes or prove rights to tithes. 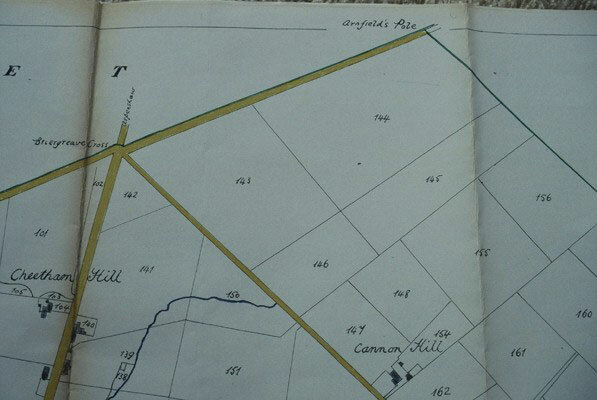 This showed the division between Kings land and Tenants land in great detail, down to which side of Barns and footpaths etc the line ran. 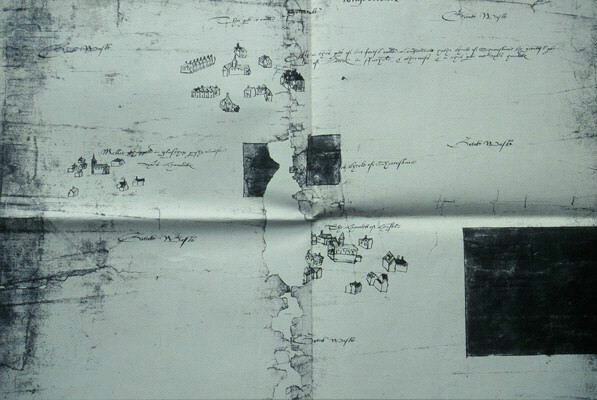 It interpreted the 1640 and 1690 maps so precisely that it became possible to identify the features in the landscape. 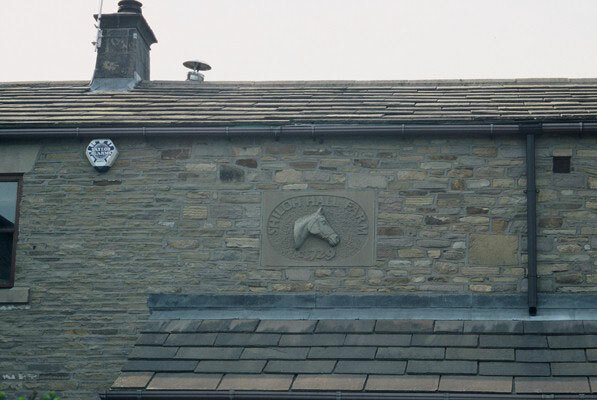 The following photographs are taken on a walk around the boundary, identifying those of the original features which can be seen on the map. 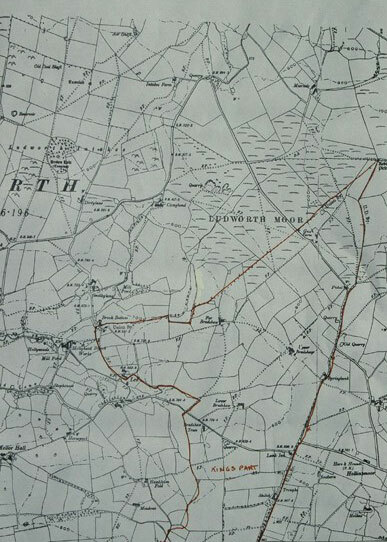 The route runs round the boundary anticlockwise. 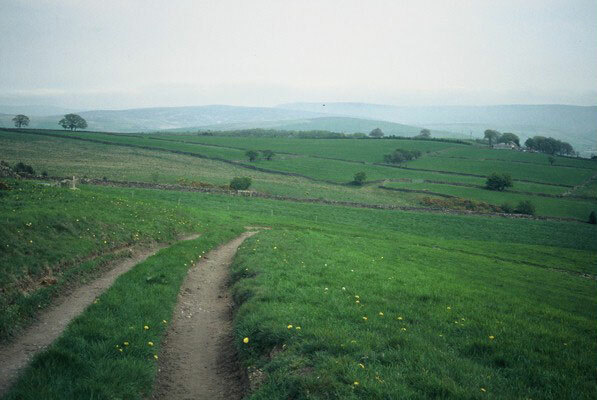 Beginning at Moor End, the first thing which can be seen is the remnant of a Horn, a funnel like feature in the landscape running off to the right away from us. 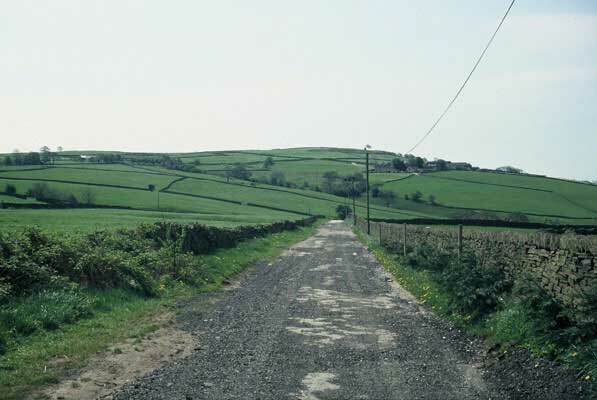 These long V shaped strips of common land projecting down from the commons are typical of roads leading from unenclosed to enclosed land. 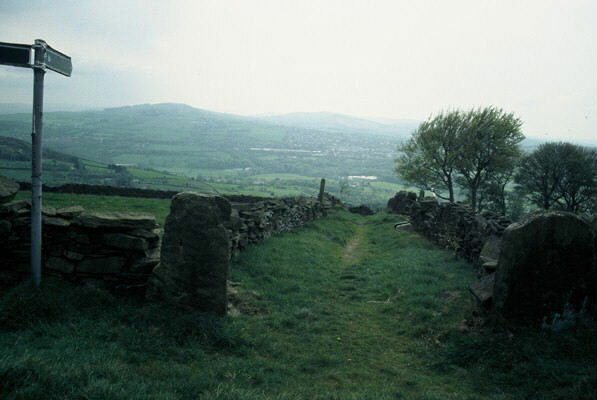 Their purpose was to make it easier to gather the livestock off the higher common land to the farmsteads at the end of the summer although they also gave access to travelers crossing the moors, tracks worn by generations of people walking or riding to market, to worship or to visit their neighbours and packhorse trains crossing the Pennines. 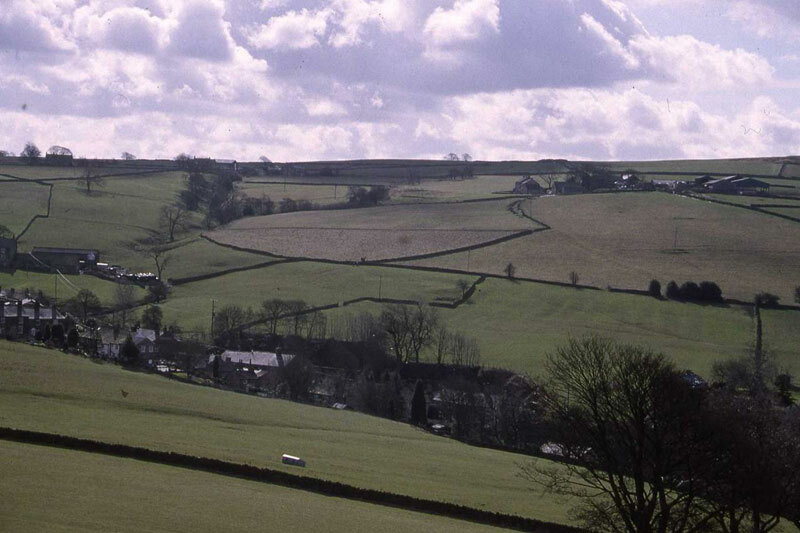 Ridge and furrow fields can be seen near Moor End, possibly farmed first during the Napoleonic wars, at a time when food was scarce that so much more marginal land was used. 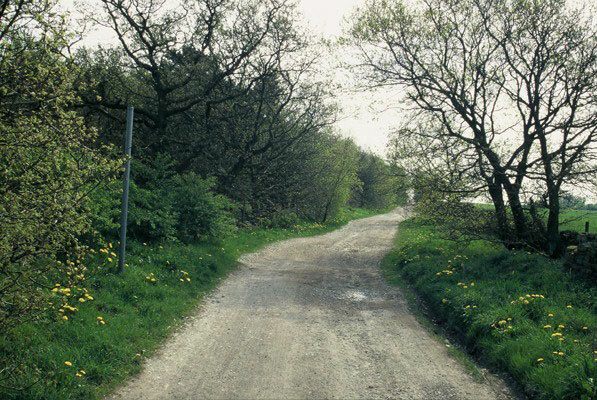 Between Longshaw Clough Farm and Birchenough the footpath is on the exact alignment of the enclosure. 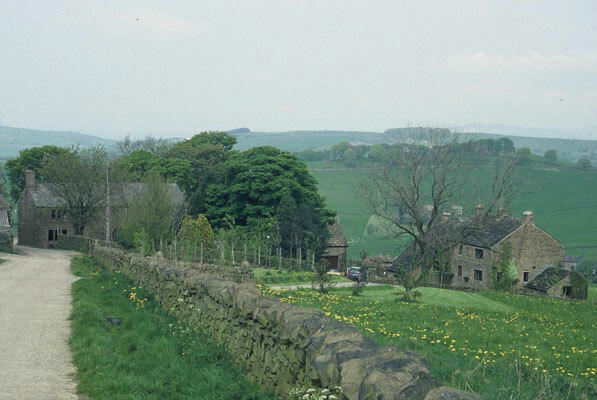 Looking from Longhurst lane, Longsahw Clough Farm is outside the enclosure . 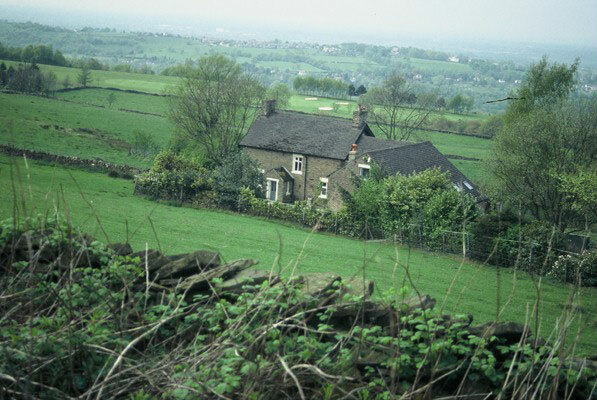 Longshaw Clough Colliery, one of many in Mellor which utilised the Lower Coal Measures, was located at the top of Moorend. 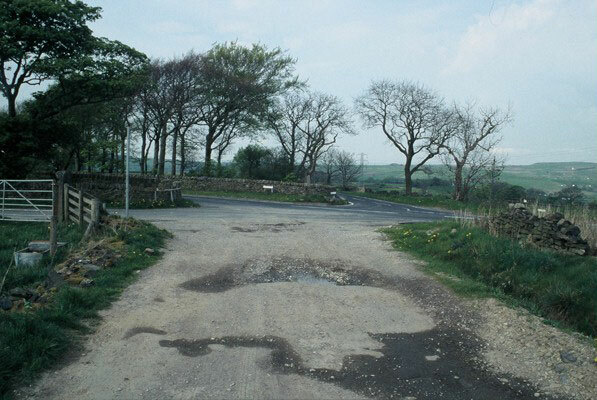 Mellor Moor Colliery nearby, at the top of the hill near Five Lane Ends, was much larger with extensive galleries. 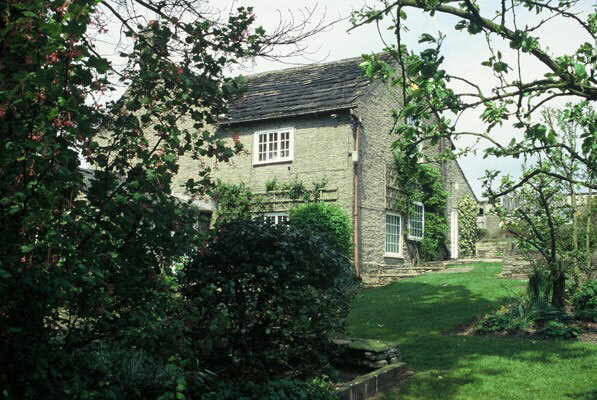 Cannon Hill Farm was built in 1816 within a generation of the final division of the land. 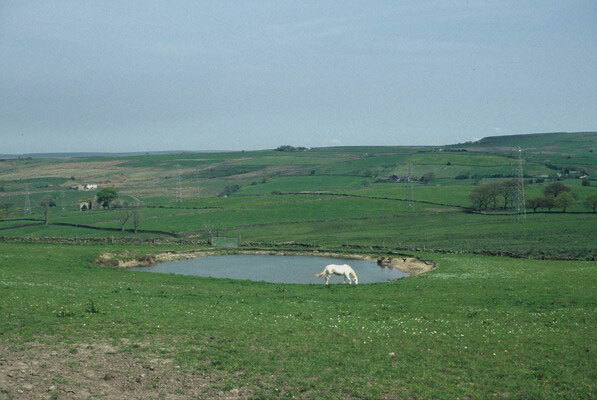 The narrowest part of the enclosure, at half a mile wide, is at Canon Hill farm, the widest is a mile wide. 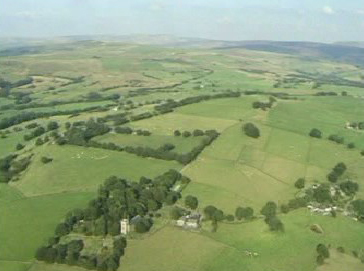 The circular Assart of Birchenough, also mentioned in the Historic Landscapes of Mellor, has over fifty per cent of its walls following the original boundary. 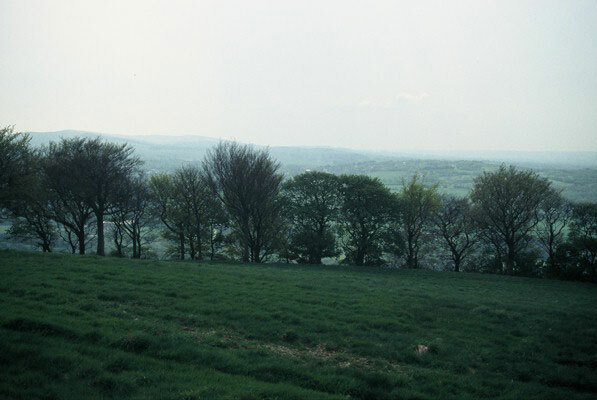 The site was mentioned in documents of the Royal Forest of the peak in 1285 ( At that time spelt Birchenhalge) An Assart was cut or created out of land which had been set apart for hunting, not necessarily forested. 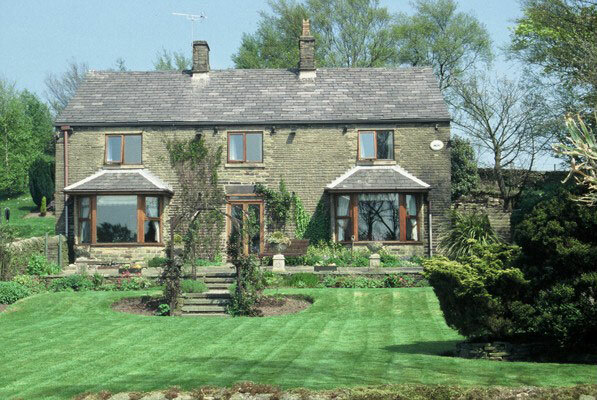 Assarting could be carried out by the payment of a fee, with permission, or a fine if done without. 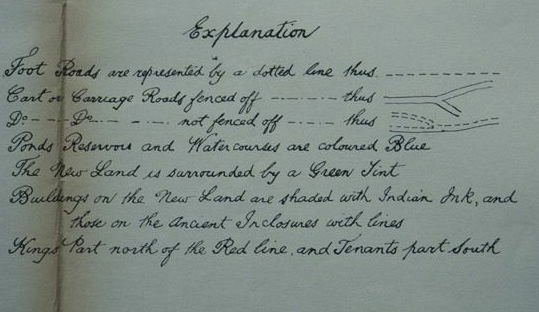 Either way it was encouraged as the land was otherwise not much use. 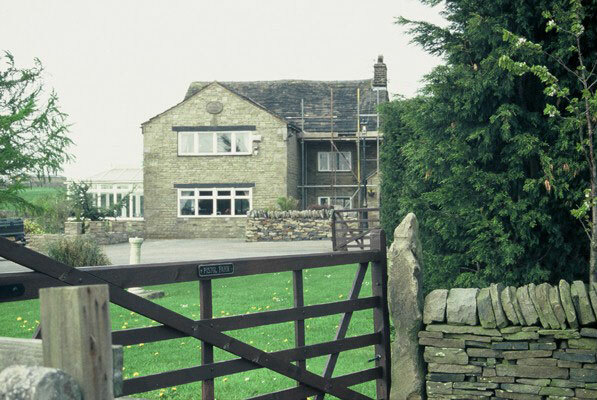 The bigger tenants would club together to get Act of Enclosure through Parliament. 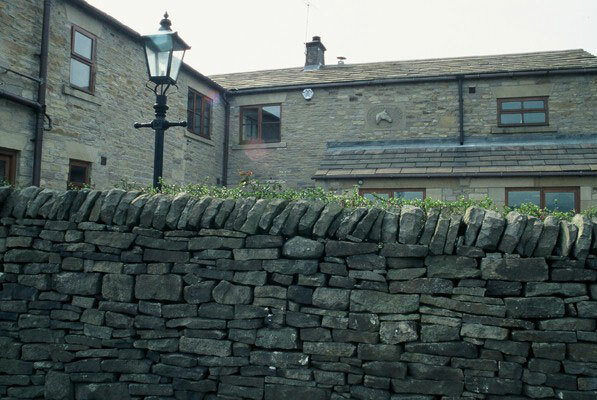 Initially the boundaries would be marked with a bank and hedge, dry stone walls were constructed later in the nineteenth century. 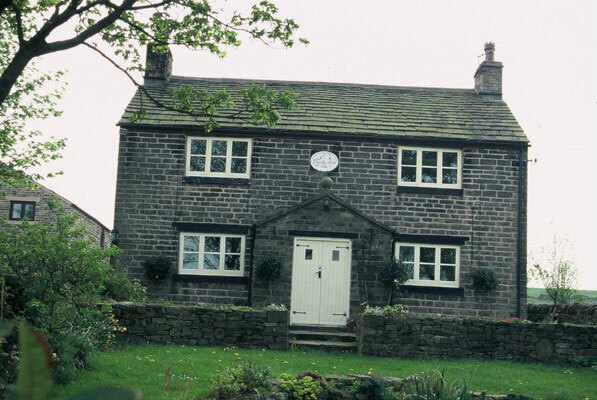 Cobden Edge Farmhouse has a datestone above the door of 1762. 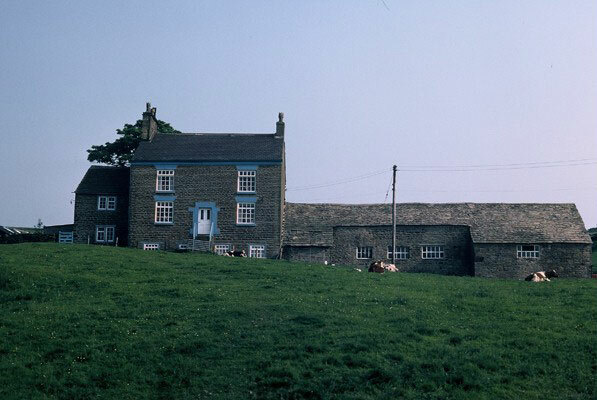 Many of the Farm houses built in the late 18th Century were built just inside the enclosure. 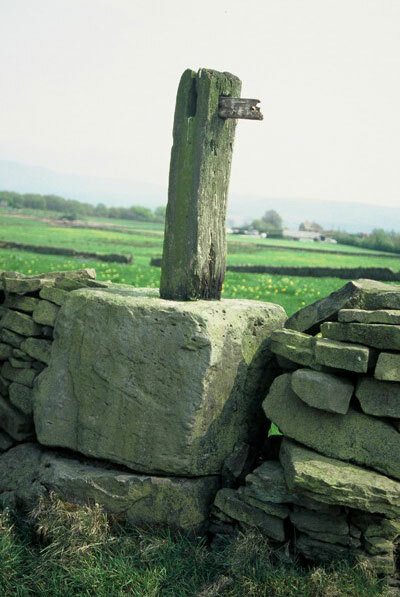 A wooden Cross was erected at Cobden Edge by local churches in 1970. 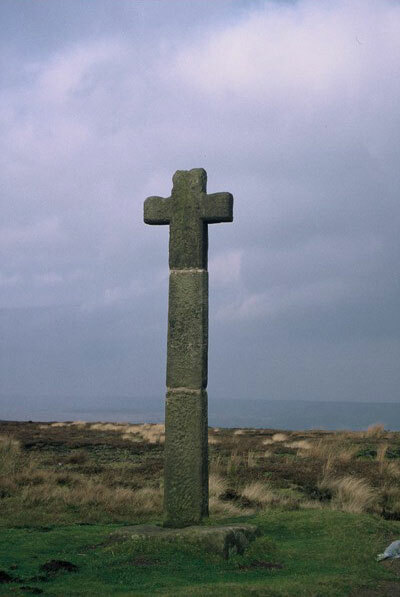 The quarry owned by the people of Mellor is behind the cross. 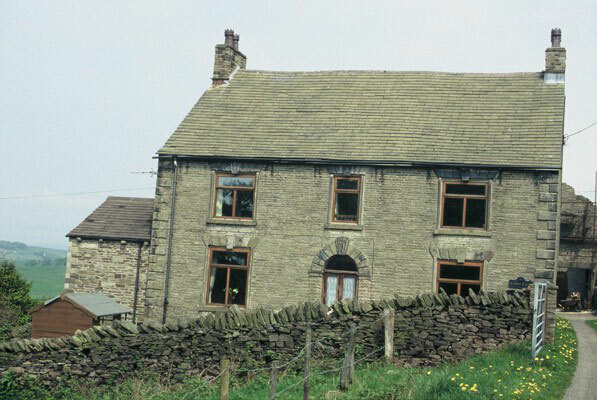 Snape Hey Farm at Cobden Edge West where the Farmhouse is just outside the enclosure. 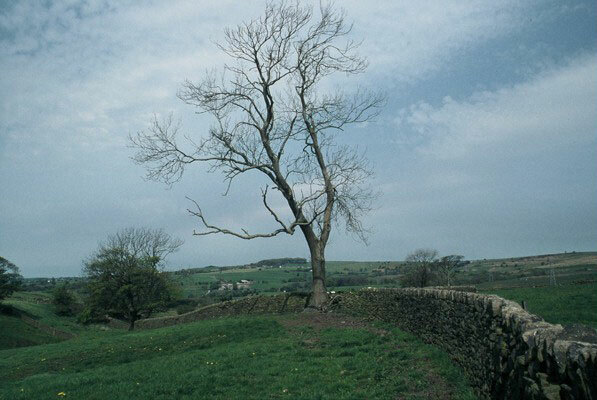 Near the Three Chimneys the 18th century boundary does not follow the enclosure, which is immediately beyond it and survives as a wonderful band of trees containing many species. 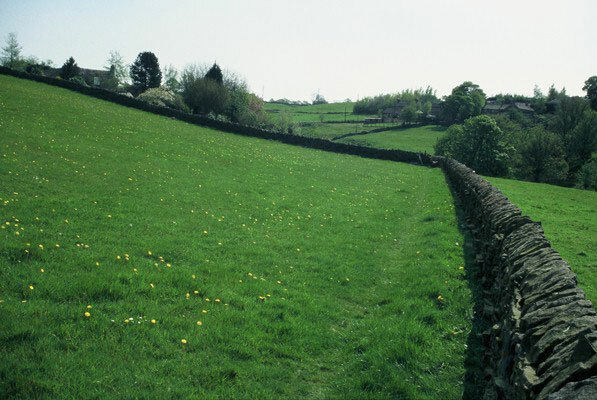 (The older the hedge or bank of trees, the more species it will contain. 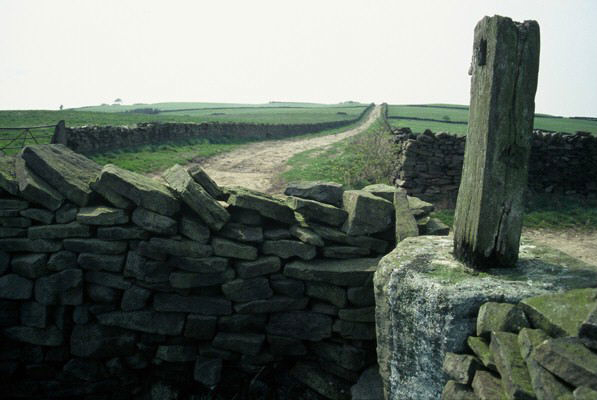 See Landscape Section) Tumbledown walls in the forground and near the band of treesmark the line of a droveway built in the late 18th century. 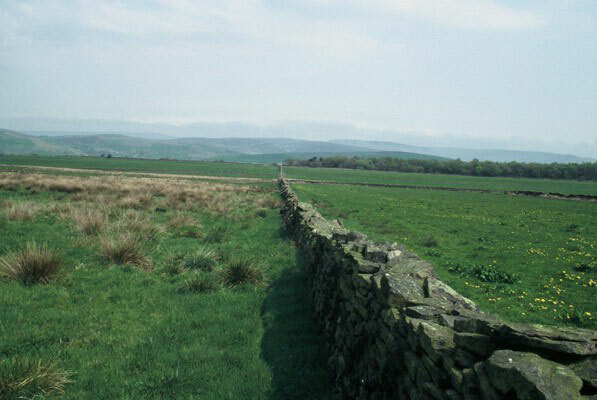 The wall follows the boundary near the Three Chimneys. 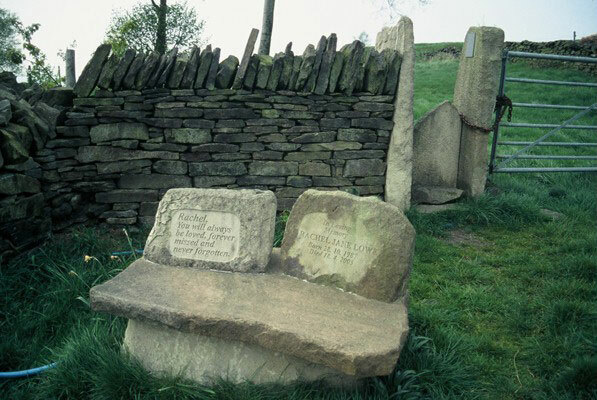 Rachels Stile and Stony Piece are both also positioned on the boundary. 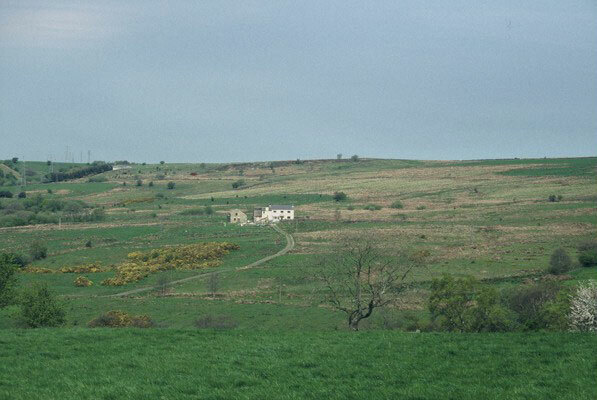 Near Bull Hill at Cobden Edge is another example of a horn to channel the livestock as they were brought downfrom the common moorland. 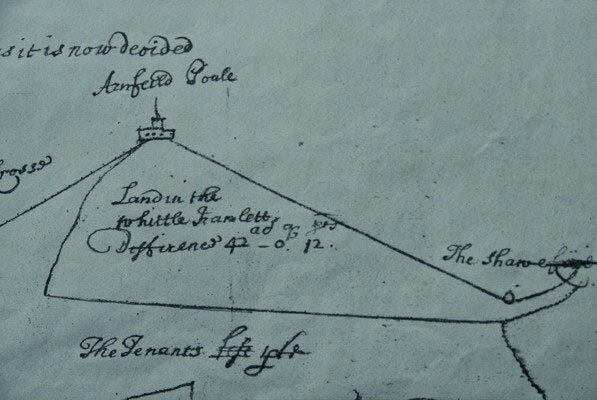 Arnfield Pole is marked on the Jowett Map of 1844 and was thought to have been originally erected in the 1550s by Thomas Arnfield of Broadhurst, it was used under the Acts of Enclosure to mark the boundary between Whittle and its neighbours. 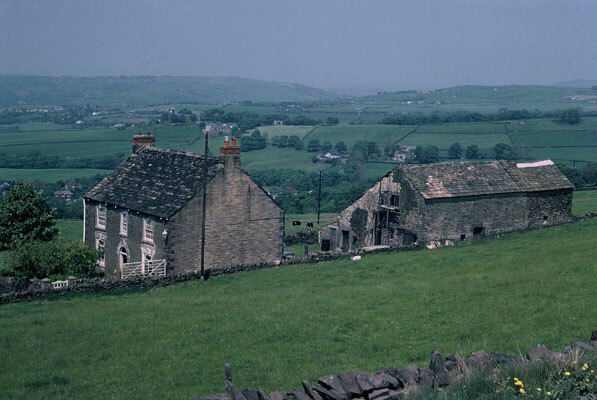 At Rush Lane, the Kings part can be seen to the right and Tenants part to the left with Hill Top Farm just inside. 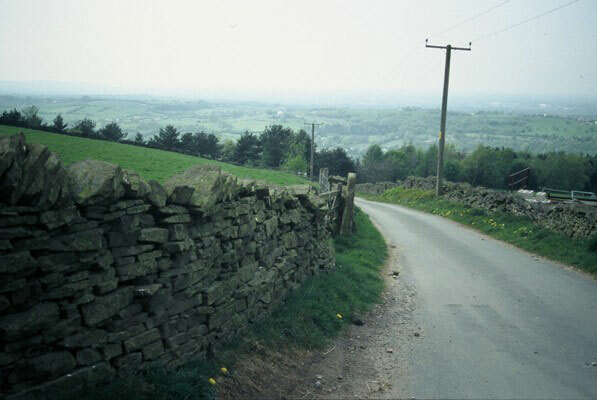 At the highest part of Cobden Edge is the untarmaced Pole Lane enlosure road approaching Five Lanes End, with the narrowest part half a mile wide and the widest a full one mile wide. 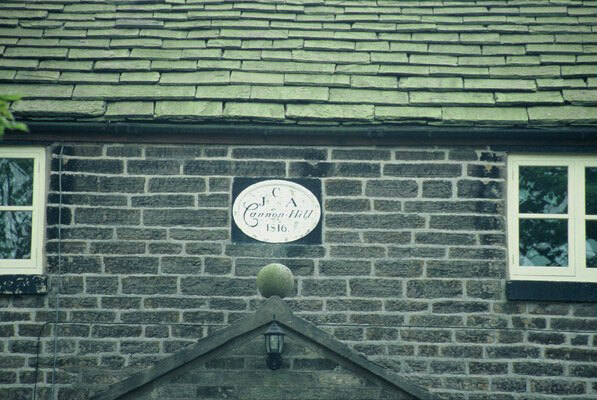 Shiloh Hall Farm, with a datestone of 1729, has an earth bank in the grounds which marks the course of a division in the enclosure. 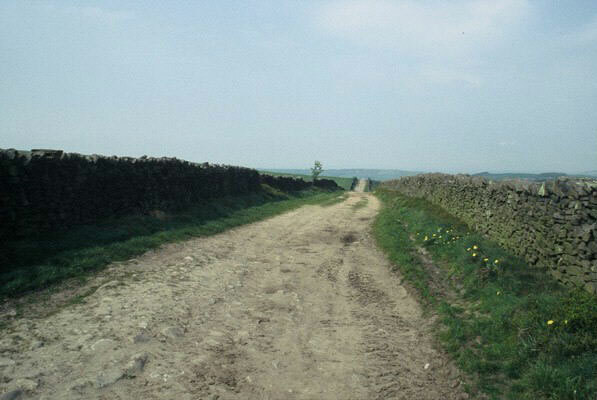 Shiloh Road itself was the new road laid out for access after the division of the commons, following the Mellor and Thornsett boundary. 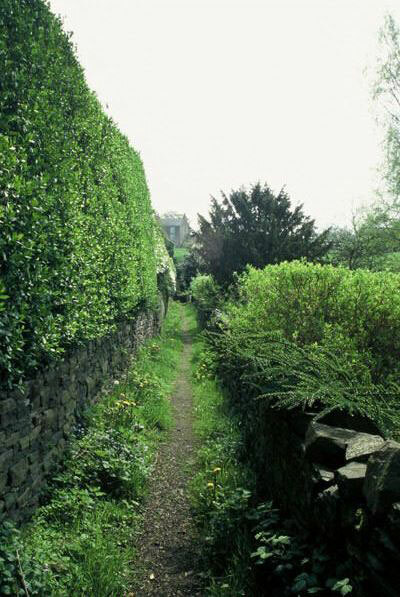 It is one of the few areas which retained hedges after the construction of drystone walls became more popular and portions of these hedges can still be seen on western side of some sections of Shiloh Road. 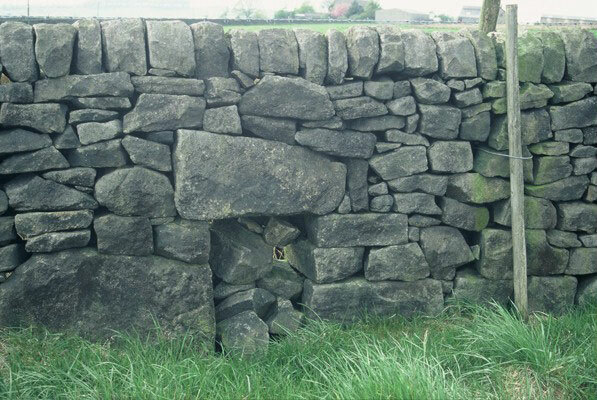 19th Century Dry Stone Walls were built from around 1830 when the widespread use of gunpowder made quarrying faster and more efficient. 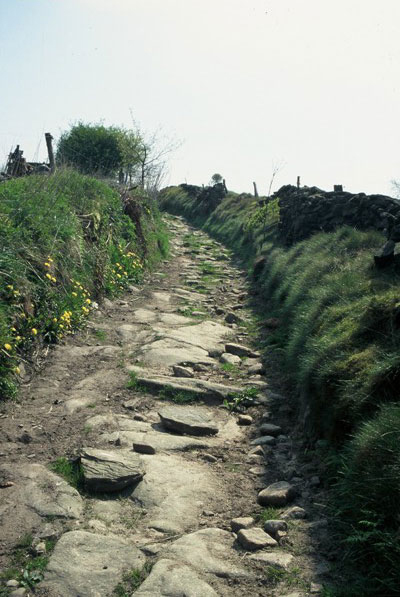 They were built by gangs of usually 2 men and a boy, either quarrying the stone or taking loose stone from the ground. 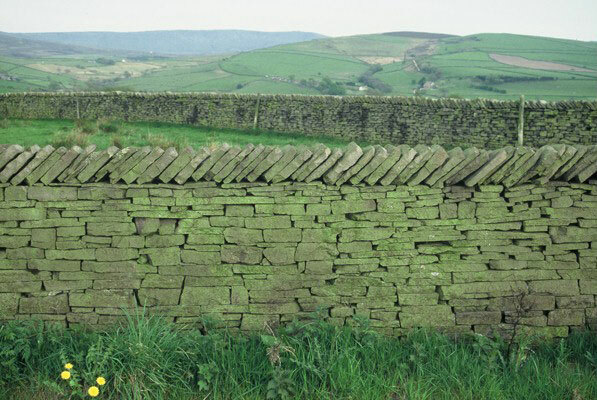 An efficient way to clear the land, it was possible to construct about 30 feet per day if the stone readily to hand. 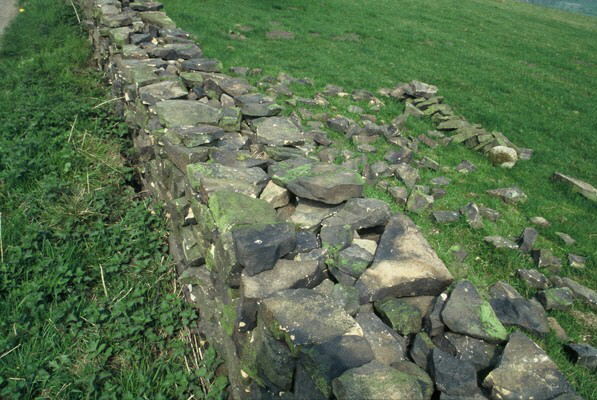 A foundation trench was dug first, then the wall was built wider at the bottom and tapering towards top, two lines of external stones filed with rubble between and with through stones at regular distances to tie the structure together. 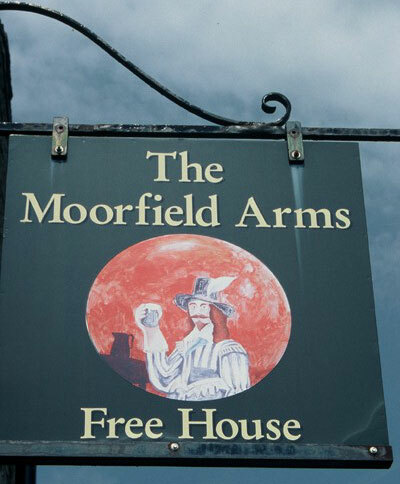 The Moorfield Arms Inn uses an image of Charles the First as its Inn sign, reflecting a folk memory that the road it stands (Shiloh Road) on was created as a result of the acts of Enclosure and in fact Charles the First himself was the villain of the piece! 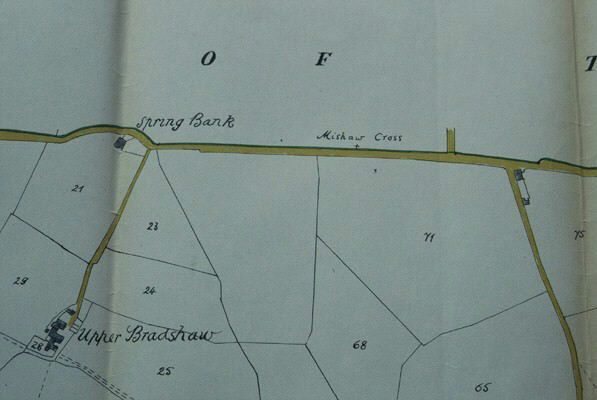 Many of the farms such as Spring Bank Farm, north of the Moorfield Arms on Shiloh Road/ Gun Road, fit in nicely with the 18th Century dates, at 1735. 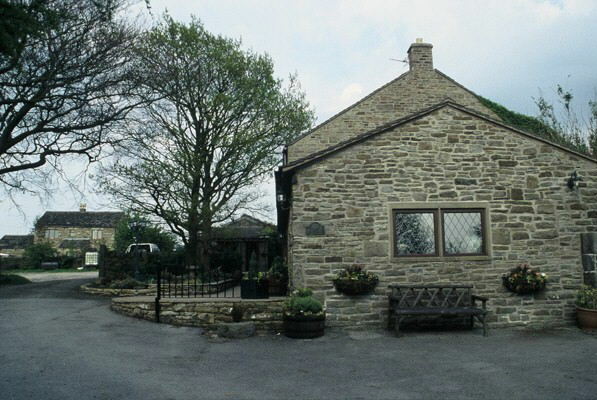 Both Pistol Farm and the nearby Gun Farm just to the north take their names from the fact that the Duke of Norfolk owned the land in the 19th century and had a Gun Lodge on the site. 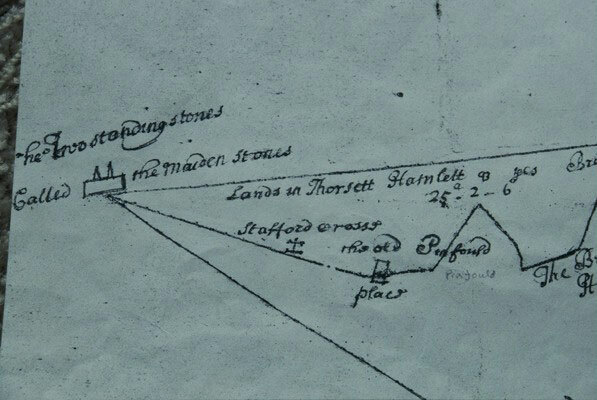 The Robin Hoods Picking Rods or The Maiden Stones appear to be remnants of Mercian Cross bases which were used to indicate the boundaries of the lands of Abbeys. 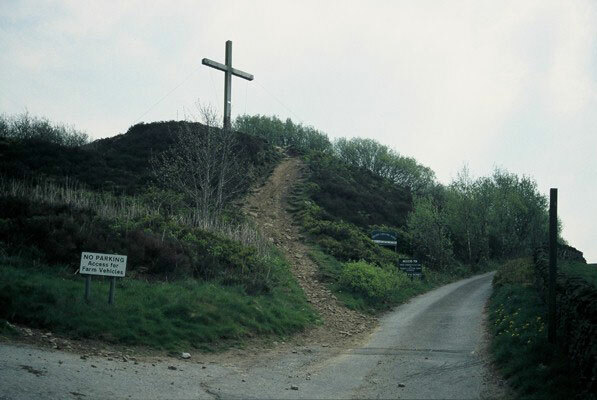 They provided guides for travellers across the wastes, with all roads leading to the crosses, such as those in the North Yorks Moors to the right. 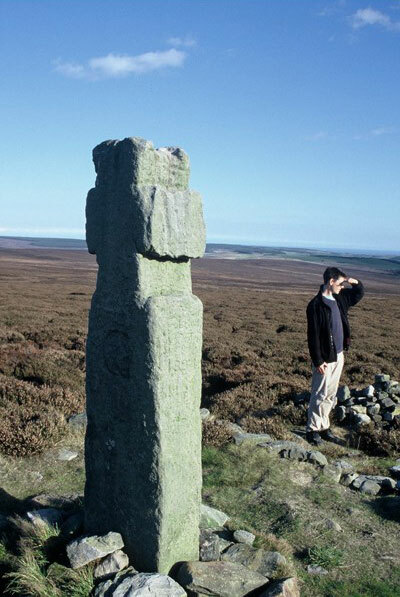 There were previously many more crosses on the moors than there are now such as the missing Briargreve and Mishaw Crosses indicated on the Jowett map. 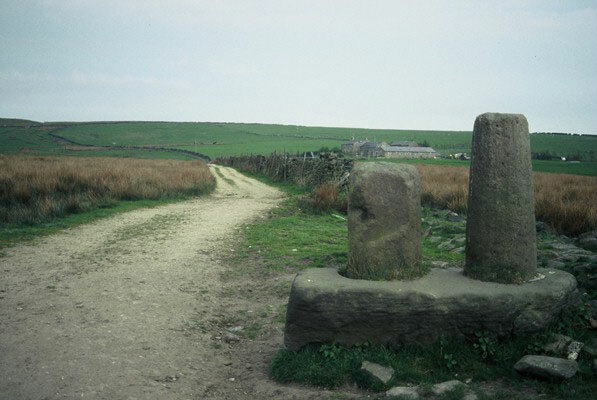 Complete crosses can still be seen standing elsewhere in open moorland or as waymarkers such as the ones to the right. 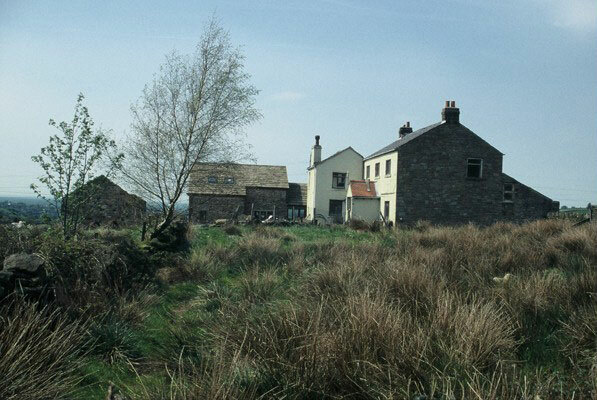 Although the most marginal land was left outside, Far Bradshaw Farm to the right, which is just inside the enclosure, is in an area of bog-spring and as a result is now derelict. 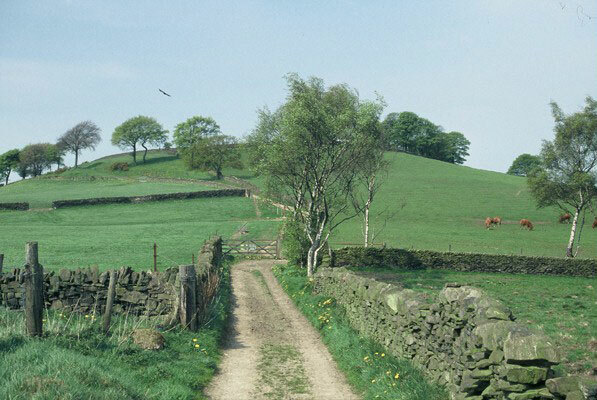 At Brook Bottom Farm, east of or above Mill Brow, where the farmhouse is again just inside the enclosure, a good example can be seen of a Hollow way, formed by the passage of a great number of livestock over the centuries, which in this case has worn the pathway down in places to the natural bedrock. 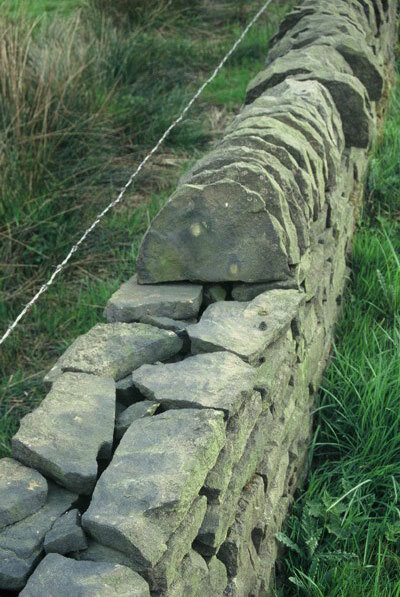 At Lee Farm the wall can also be seen following line of enclosure, north of Chatterton Lane. 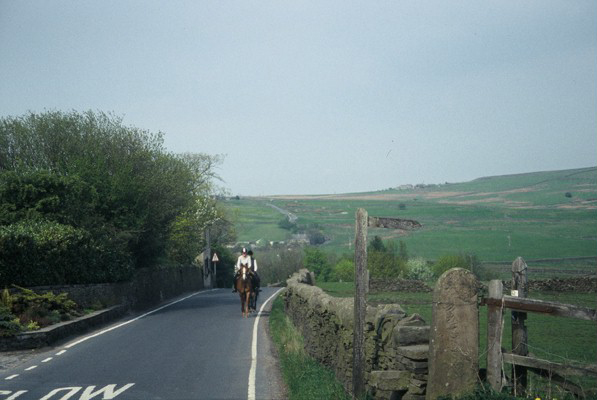 Finally where Mellor Ridge can be seen from Hilltop Farm are further good examples of enclosure roads.